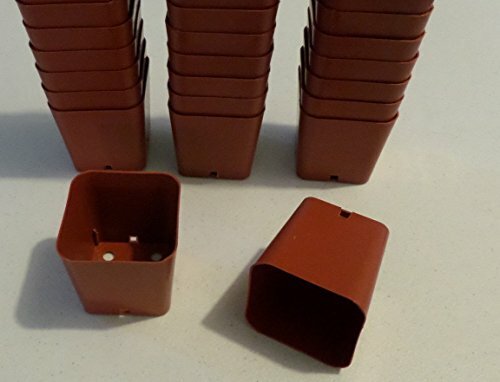 1000 count 2'' Square x 2 1/8" Deep plastic pots. Dual level drainage for healthy roots. 50 fit in a standard 1020 nursery tray 64 fit in 17" x 17" nursery tray. Durable and Reusable. If you have any questions about this product by Gardenstuff, contact us by completing and submitting the form below. If you are looking for a specif part number, please include it with your message.